Stretching out over 9,330 kilometers, Mexico’s coastline meets the Pacific Ocean, the Gulfs of California and Mexico, and the Caribbean Sea. You know what that means: Mexico resorts, beaches, and plenty of them. Some are so beautiful, people cannot help but flock to visit Mexico, while others are sleepy and isolated, but they are all perfect for kicking back with an ice-cold Modelo and some fresh fish tacos. 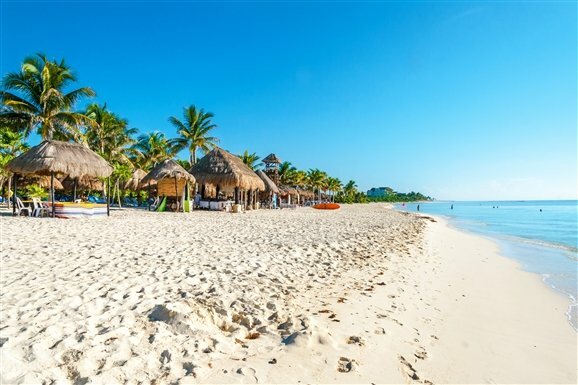 From Tulum’s turquoise waters, with ancient ruins standing sentry, to the crashing barrels of the chilled-out Puerto Escondido, here is our pick of ten best beaches in Mexico. While the tranquil waters, white beaches, and endless stucco strips of bars and shops that line Cozumel’s touristy West Coast provide most vacationers with everything they need, the wild east may be calling to you. The rugged East Coast, facing the waves of the wide-open Caribbean, is much less accessible and developed, which is precisely its appeal. There are many gorgeous deserted beaches lining the coastal road, but none like El Mirador. This is – emphatically – not a swimming beach. El Mirador lookout rocky point sculpted into an amazing seascape of natural bridges, blowholes, tide pools, and spires, with an astounding sapphire backdrop you will never forget. Climb the tower for magnificent views. While this region is beautiful, and the road is good, note that services are relatively few and far between. This is first one of the best beaches in Mexico. 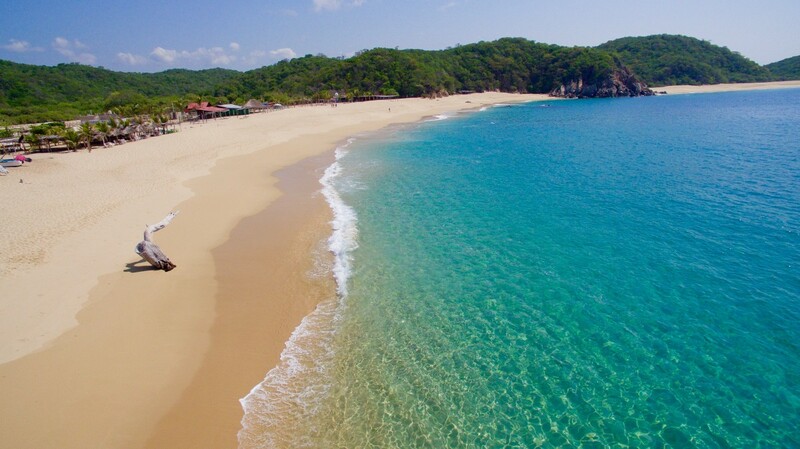 Slightly more isolated than the other spots on this list, this beach is found on the Marieta Islands, just off the west coast resort town of Puerto Vallarta in the state of Jalisco. 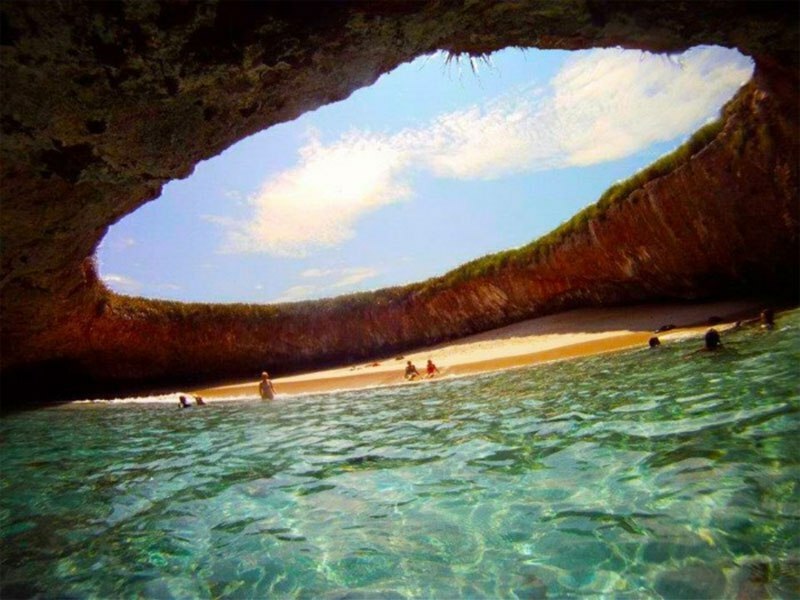 The beach peeks up through a crater in the middle of a deserted island, and can only be reached by swimming through a tunnel. But the one of a kind beach actually hides a pretty dark past. The crater overhead is the result of the Mexican military using the islands for bomb testing in the early 1900s. Still, today the beach bears no scars of its past, and it can be visited after buying a permit from the Mexican Government. This makes up for one of the many best beaches in Mexico. Santa Cruz Bay is the perfect place for travelers looking to spend an afternoon combing through shops filled with Mexican handicrafts and tops the list of best beaches in Mexico; enjoy a traditional meal along with a bustling boat dock, or experience the beauty of the coast. Visitors can rent kayaks and jet skis to tour the bay or hire scooters and buzz through the busy city streets. Those looking for a more scenic escape can hop aboard one of the seven bays or snorkeling tours, which depart from the main dock. These popular excursions carry travelers across the bay, with stops at a number of popular beaches, like Yerbabuena, Punta Cruz, and Kolkata. 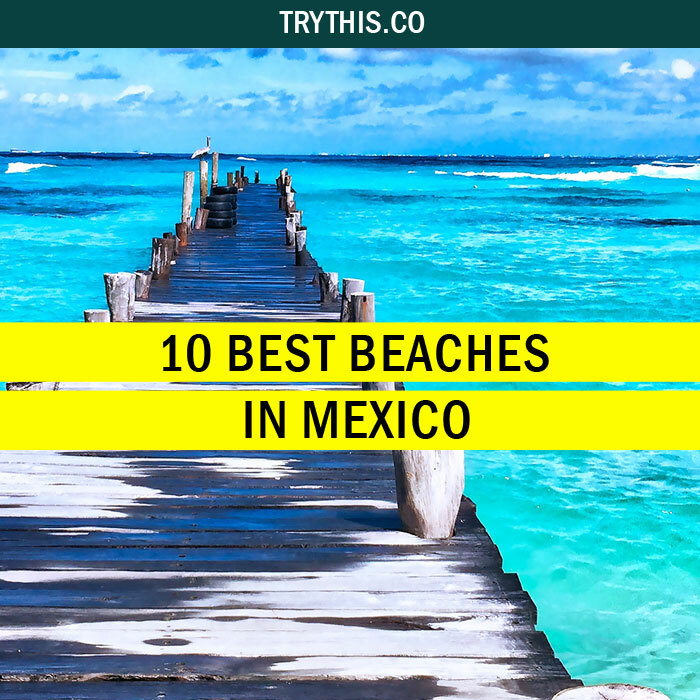 And most of the time the first place to come to mind if you ask which are the best beaches in Mexico. The bay is located on the same seaside boulevard as La Cruecita. Santa Cruz tends to get crowded on days when cruise ships dock here. 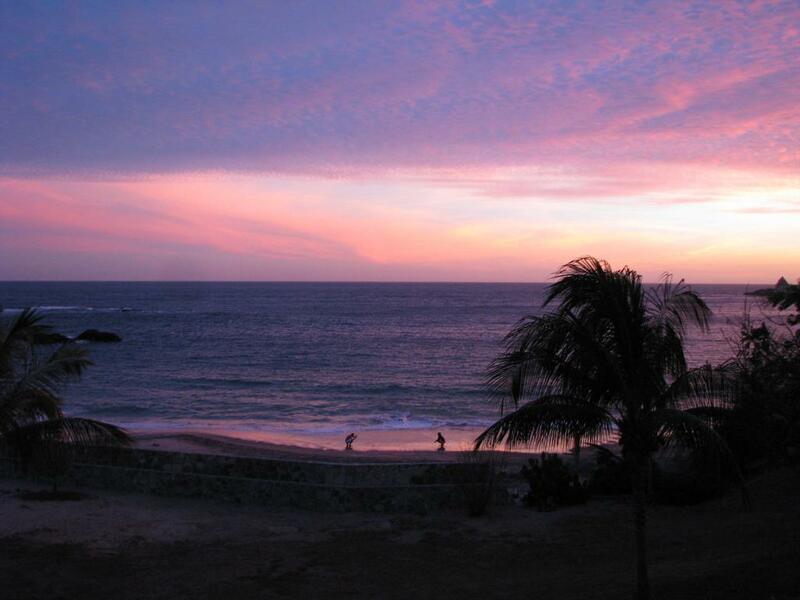 On Mexico’s west coast, with a broad view of the Pacific Ocean, the beaches of Puerto Escondido are all about long, lazy afternoons and plenty of rolling waves. In fact, it seems like time slows down at this haven for surfers and backpackers alike. Seafood is firmly on the menu, and each day, the large orb of the sun drops gracefully into the Pacific, at times causing the punters on the beach to break out in applause. Just saying thanks to another perfect day in Mexico, we guess. 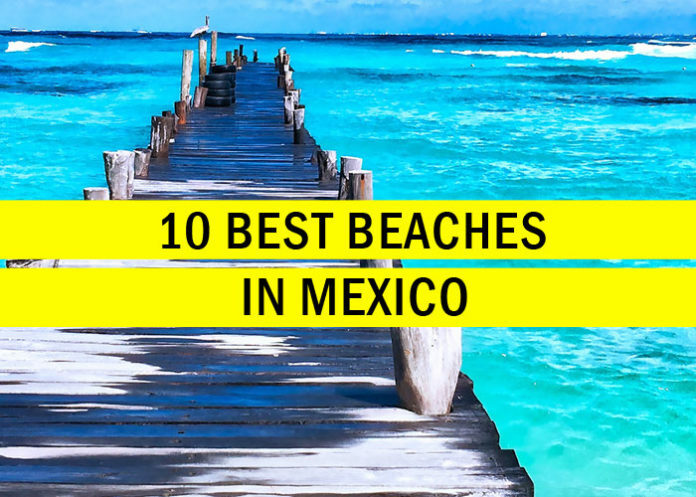 This most definitely is the next in line for the best beaches in Mexico. 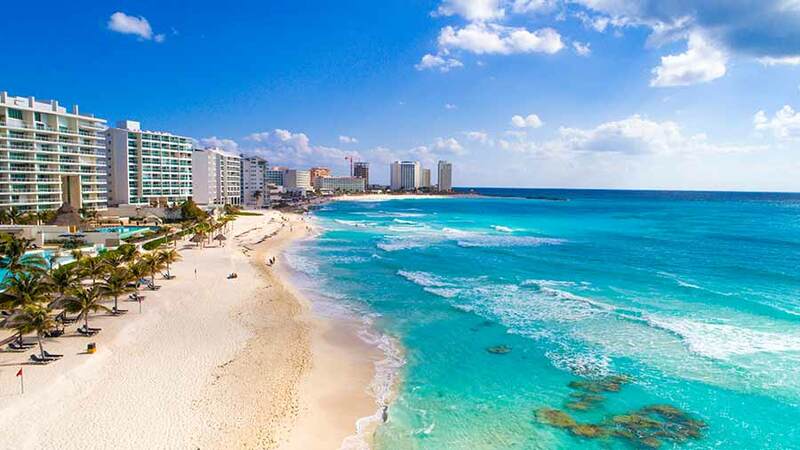 Crowds flock to Cancun for its undeniably beautiful beaches, which look made for postcards – and trust us, there are plenty of postcards. While the town hosts one of the best Mexico resorts and is hardly sleepy, sometimes being brought cocktails beneath an umbrella on the beach is a call that must be answered. Plus, the upside of the many visitors is that – when the sun finally retreats – there are plenty of bustling bars and restaurants to fill your early evening. And late evening. In fact, you might still be going into the early morning. If you have reached your limit on the fancy life of Mexico resorts, head two hours inland to explore the ruins of Chichen Itza, or slow down on the nearby Isla Mujeres, just 13 kilometers off the coast. Travelers in search of a quiet beach to soak up blistering hot sun need look no further than the shores of Maguey Bay. A handful of busy seafood shacks line the nearby streets here, slinging fresh fish and tangy ceviche that are both popular with the locals. This makes up for one of the many best beaches to visit in Mexico. 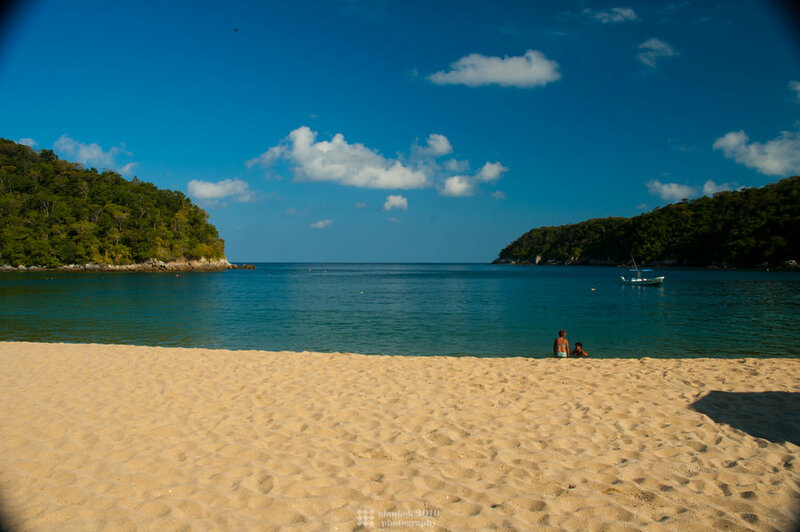 Visitors can order up cold beers and relax on patio chairs all day, or venture into the calm clear waters that make this bay an ideal spot for swimming. Rent some gear and head into the ocean, where a large variety of colorful tropical fish exist just off the shores, or head to the rockier edge of the bay, where wave jumping into impressive swells makes for a more active afternoon. 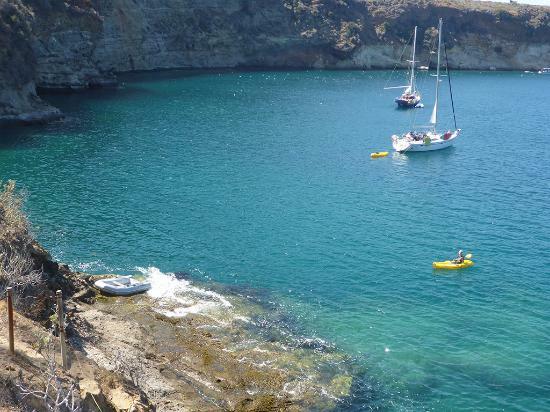 Maguey Bay is located about 3 kilometers south of Santa Cruz Bay and is accessible by rough road or hired boats. Public showers and toilets are also available along the bay. This bustling coastal town of Playa del Carmen is like a hipper version of Cancun, found just an hour down the road. 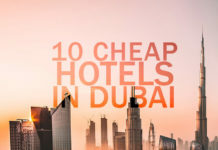 It is no less busy, but it is where both Mexican and visiting socialites head to see and be seen at the many nightclubs and bars that dot this buzzing beachside borough. Beach clubs like Wah Wah have an abundance of recliners and umbrellas set up on the sand, with unobstructed views of the clear blue Caribbean Sea. Visit Mexico, get your shades on and people watch ‘til your heart’s content, pausing only to take a refreshing dip in the ocean. If you like your history lessons with a side of swimming, then Tulum is the place for you. 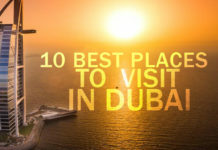 It is worth visiting for the colors alone: the cobalt and navy-blue sea nudges the white sand beach, which backs onto swathes of green jungle. 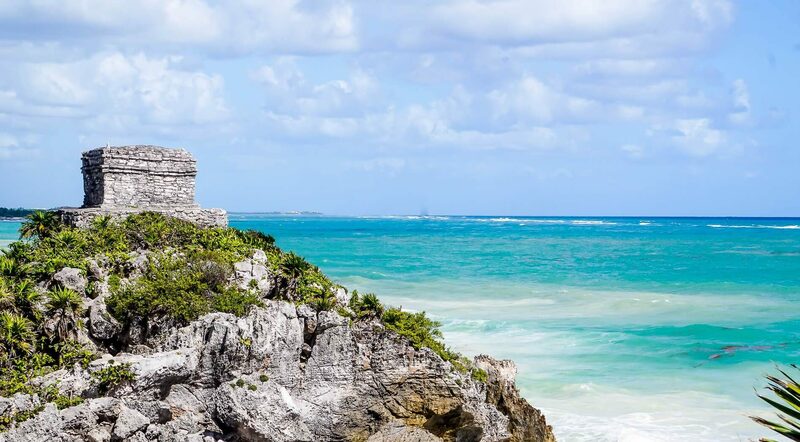 Just an hour south of Playa Del Carmen, Tulum has been inching up the list of best beaches in Mexico due to its unfair share of natural beauty, cool bars and cafes, and fascinating archaeological sites, perched right there on the beach. Seriously, where else can you go swimming in Mayan ruins? Pro tip: be sure to take a detour to Mexico’s inland cenotes – they are not exactly the beach, but these crystal-clear swimming holes are just as charming. To figure out the best beaches in Mexico can get confusing if you don’t know what to look for and where. Located in the far West Bay, this quaint village filled with shaded palm palapas is as rustic as they come. Home to fewer than 100 people, mostly fishermen, San Agustin Bay has survived without electricity or running water even in this modern era. The bay is known for having easy access to incredible snorkeling. Visitors can dip into the ocean straight from the shore and immediately find plenty to see, including tropical fish schools and coral plates. A shrine to the town’s namesake, Saint Agustin, is built upon a nearby hillside, where a short hike affords travelers truly breathtaking views of rolling hills, thick forests, and crashing waves. San Agustin Bay is accessible by road or boat. Travelers can rent a private boat or purchase a ticket on one of the local catamarans. Microbuses and taxis also travel the banana-tree lined the road to San Augustin. At this point which are the best beaches in Mexico should not be hard to figure out. So here is another we recommend. Mazunte is a tiny coastal town with one of the most glorious stretches of coastline in all of Mexico, located just south of Puerto Escondido. Here, the pace is slow and the hammocks are plentiful. Much quieter and more isolated than its neighbor to the north, Mazunte has a particular brand of magic that is all its own. The Punta Cometa lookout, jutting out between Playa Mazunte and Playa Mermejita is the southernmost point in the state of Oaxaca. From here, you can spot blue whales, dolphins, and turtles between the months of November and January.